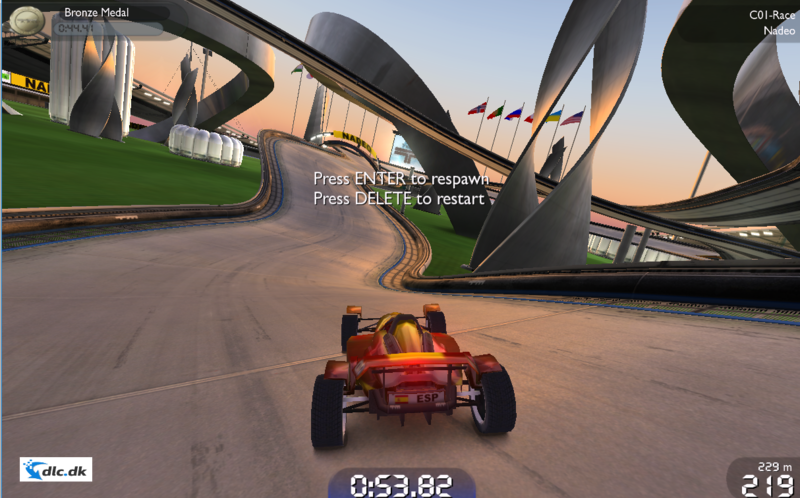 TrackMania Nations Forever is a very fine freeware racing-game. Do you want to live your inner race dreams with almost limitless levels to try your worth at? Then TrackMania Nations Forever is for you. TrackMania Nations Forever by the manufacturer Focus Home Interactive is one of the world's most popular free online racing games to date. With hundreds of thousands of different levels, made among its millions of users, there are endless possibilities to create your own tracks and cars that complement you with days of fun and entertainment. TrackMania Nations Forever gives you the opportunity to test your true racing skills on any course you could imagine. You can even take your friends along to see which of you is the best. Run a good run and get your score up on the public leaderboards to show all players what you can. TrackMania Nations Forever offers a crazy number of different tracks that you can freely download for free from their forums. It is of course fun just to drive around them and see how much speed you can get through the large, surreal loops. But if you really want to challenge yourself and rise in world rankings, it is about collecting medals. Of course, there are three different medals in total: Bronze, Silver and Gold. These medals are obtained based on the amount of time you use from the start to the finish line. Bronze is the easiest to get, and can typically be done on the first attempt as it has the most time to achieve it. But as soon as you are up on silver, the seconds become smaller and smaller. If you want the gold medal, you need to know the path in and out. It's a great way to challenge yourself, and blow to its friends. Who can collect the most medals? 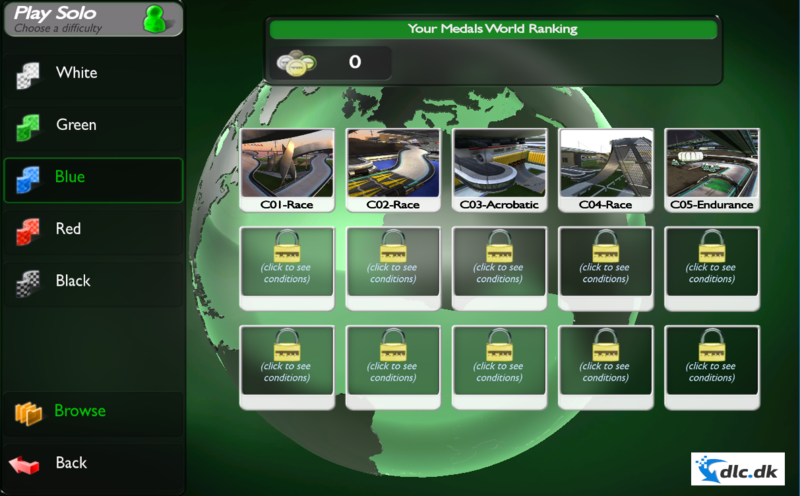 It is also possible to collect medals in multiplayer mode. If you experience that you've done all the built-in tracks in the game and are hungry for more then you can appropriately make them yourself. 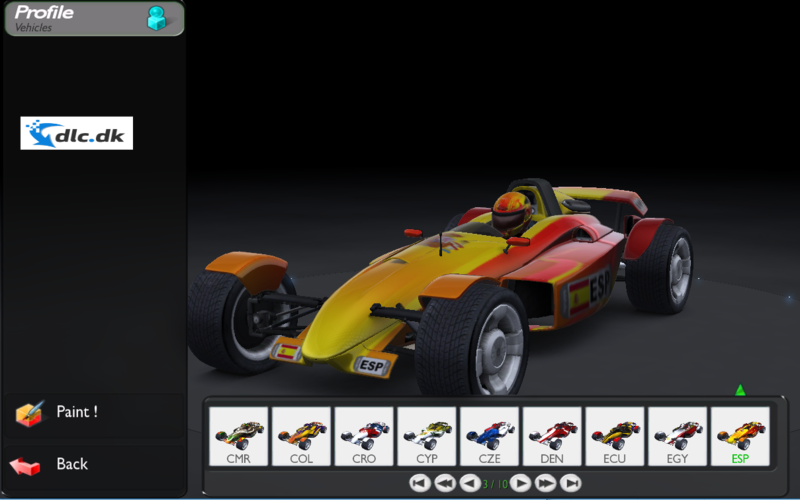 TrackMania Nations Forever has a built-in "Editor" that allows you to build a track based on your exact specifications and purposes. It's perfect if, for example, you want to practice different aspects of racing. Are you not very good at getting enough speed in the big loops? Then make a course filled with loops and become a champion. Or create a super tough track and share it with your friends to see who can finish it first. TrackMania Nations Forever is a true competition game and allows you to show off your skills at every corner. TrackMania Nations Forever is one of the games in the world that has the largest user base. Several million players worldwide compete daily for the top spot on the scoreboards. And it is always fun just to check if it should not be one from his own country that holds this prestigious title. The millions of players in TrackMania Nations Forever all contribute to the competitive atmosphere that always keeps excitement high and gives you the motivation to constantly strive upwards to become the best you can be. Should you be the next Dane who tops the scoreboards? 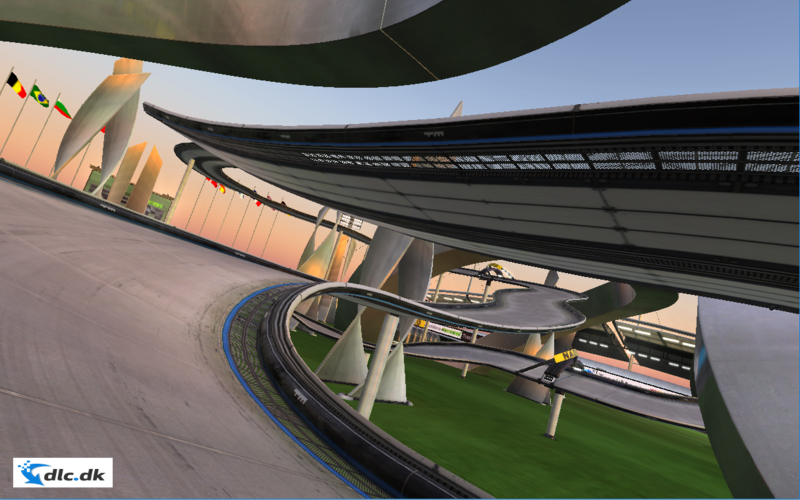 TrackMania Nations Forever not only gives you the ability to create your own tracks. It also gives you shame the opportunity to make completely personal skins for you and your car. So every time you are in a race with other people, you can be sure that they will remember you if you have done well, and to the same extent you remember them as well. It creates an aspect of community but also competition. Because if you lost to him in the scream green car with drag motifs, you remember him for the next race and give it an extra skull to win over him. 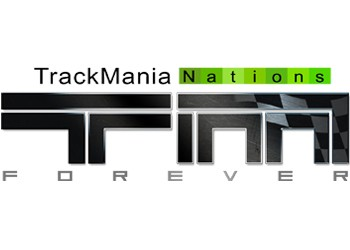 TrackMania Nations Forever appearedin 2008, but later received updates, but not on the graphic department. Here you can see that the game has had a round birthday since it appeared. But given the time, the graphics were some of the best you could get. Even today you can see how far ahead the game was, and therefore the graphics go well with the present; Delicious, smooth, simple and therefore easy to modify when it comes to skins for your car or character. It also means that any computer within the last 5 years can easily run the game, so you can take it anywhere you want, whether it be a trip to Spain or in school with your friends. If you would like to start another competitive game besides TrackMania Nations Forever, then there are good opportunities for it. A fine example is Handball Manager of the producer Anders Busch Hansen. Handball Manager is the handball world's response to Football Manager. The game puts you in the role of the coach of a handball team that will fight to the top. Recruit and train new players and see how far you can get in the various leagues. If you are a person with a sense of competition, the Handball Manager will not disappoint. The game can be downloaded for free here. TrackMania Nations Forever is a game that you can theoretically keep playing to the end of time. The concept is simple and easy to use. With the many possibilities you have to express yourself creatively, you can do unique things with the game entirely for itself. The competition elements are strong and entertaining, so once you have got blood on the tooth, it is difficult to let go again. There is probably no other free racing game that is in the same league as the TrackMania Nations Forever quality and community. It is undoubtedly worth a try. Find TrackMania Nations Forever, mark it and choose "Uninstall"
Should TrackMania Nations Forever has been damaged or corrupted and thereby difficult to remove we can recommend you finding help to uninstall it here.